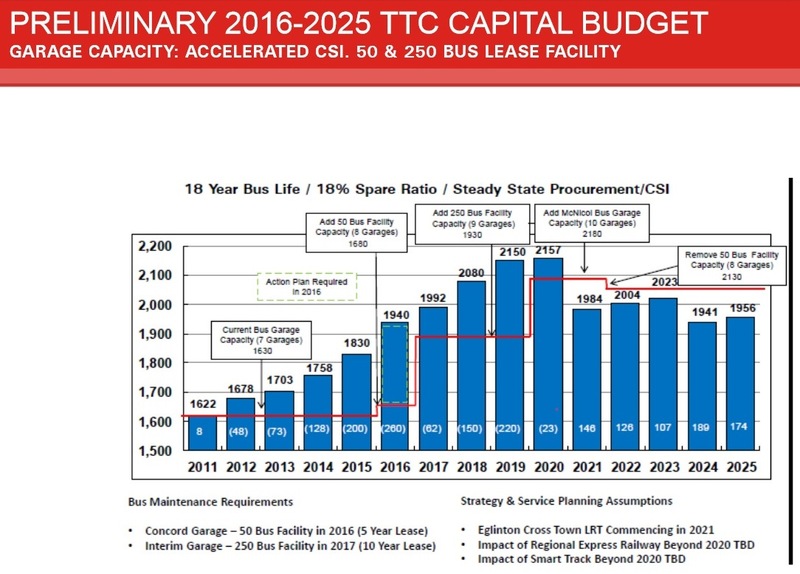 The TTC Budget Committee will meet on June 29, 2015 to consider a preview of the 2016-2025 ten year Capital Budget. 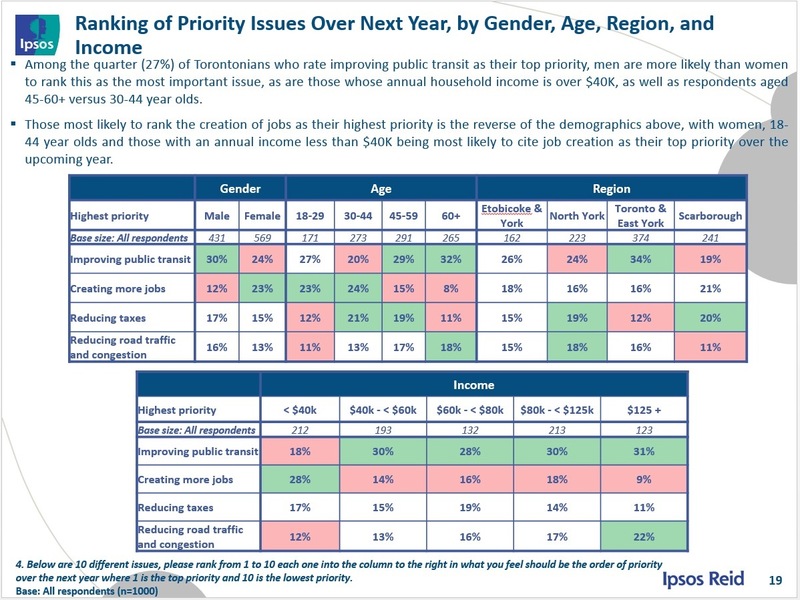 This gives a sense of where the TTC is headed in its search for funding at the City of Toronto, Queen’s Park and Ottawa, as well as its priorities for future spending. The Capital Budget often can be daunting both from its size (the detailed project description material fills two large binders), the complexity of its funding (many sources of money, one-time or ongoing schemes, and the fact that huge projects like subway extensions are mixed together with the more mundane work of routine repairs to refresh aging infrastructure. This mix also shows the ongoing competition for attention between the megaprojects and the equally important job of keeping the TTC rolling. The budget spans ten years, and each year brings updates to reflect planned work that now falls within the ten-year window, new projects that have not been included before, and changes to existing projects either in their scope or timing. For many years, the total budget has exceeded projected funding for the next decade, and many projects sit in limbo awaiting their own dedicated financing scheme, or the arrival of more money through increased subsidies. The balancing act the TTC faces is to keep the vital projects going in the short term while beating the drum for for better transit support in future budgets. Funding from “senior” governments – Ontario and Canada – has declined considerably over the years. 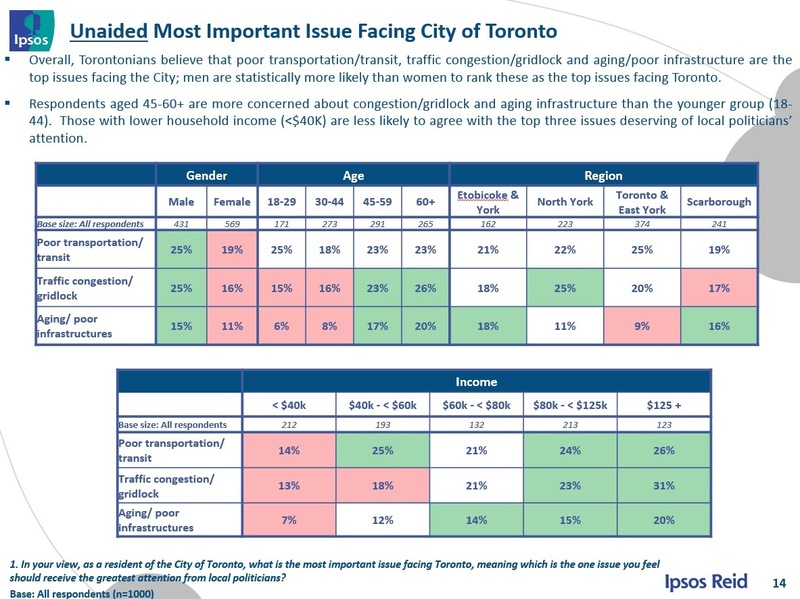 Although specific projects have large investments – notably the Spadina extension (TYSSE) and the Eglinton-Crosstown (which is now a Metrolinx project) – funding for basic capital maintenance is a hard sell. Toronto receives gas tax revenue from both governments, and in the case of the provincial stream, a bit over half is dedicated to operating subsidy, not to capital. The total gas tax capital flow each year from both Queen’s Park and Ottawa is about $220-million, less than one quarter of the typical annual spending. Almost all of the remainder comes from the City of Toronto. This, together with other City financial pressures, has created a very tight squeeze in coming years which is shown in a chart from a recent budget presentation. 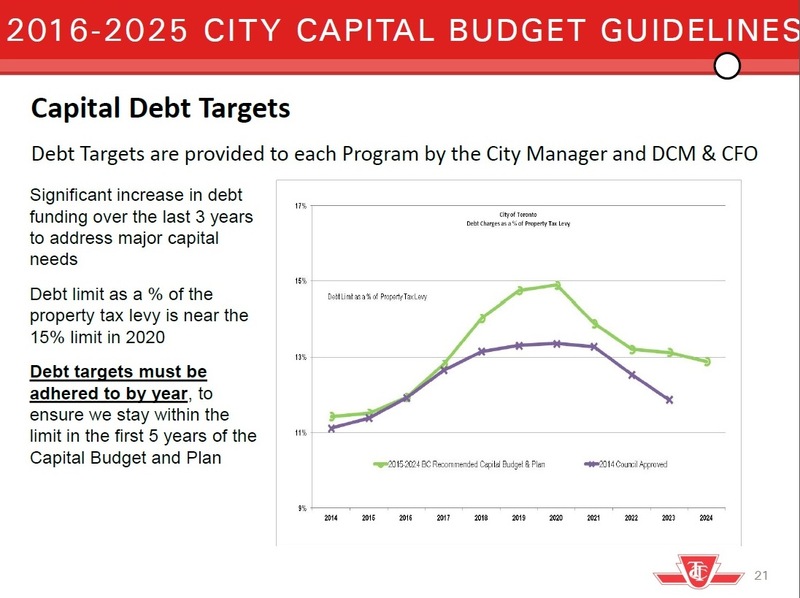 Recent decisions by Council have eaten up all of the headroom that formerly existed in the City’s capital debt plan. In order to keep spending on debt service under control, the City sets a ceiling of 15% of property tax revenues for this expenditure. This is actually much less than 15% of the overall City budget because property tax covers only about 1/3 of the total (for example, transit fares are roughly 10% of total City revenues). However, the other revenue streams are spoken for because they are dedicated to specific purposes, not to general operations. Also, some of these are non-recurring such as special grants, “surpluses” (actually underspending from previous years), or proceeds from asset sales. Such revenue cannot be counted on in future years as a source for debt payments. In simple terms, you can only spend an inheritance, or lottery winnings, or money from selling your antique furniture, once. One obvious solution is to either raise the amount of tax revenue so that the 15% is measured against a higher income stream, or to get a new source of revenue to pay for capital costs without borrowing. Neither of these is palatable to City Council, and they look to other governments to increase funding. Project-based grants can shift individual items off of the books (for example a new rapid transit line might be “free” because someone else pays for it), but these projects are not necessarily our top priority (we might value better accessibility in existing stations over a new subway through vote-rich ridings). Moreover, the completed projects could bring additional operating costs (the TYSSE will certainly do this) for which money must be found in the Operating budget. 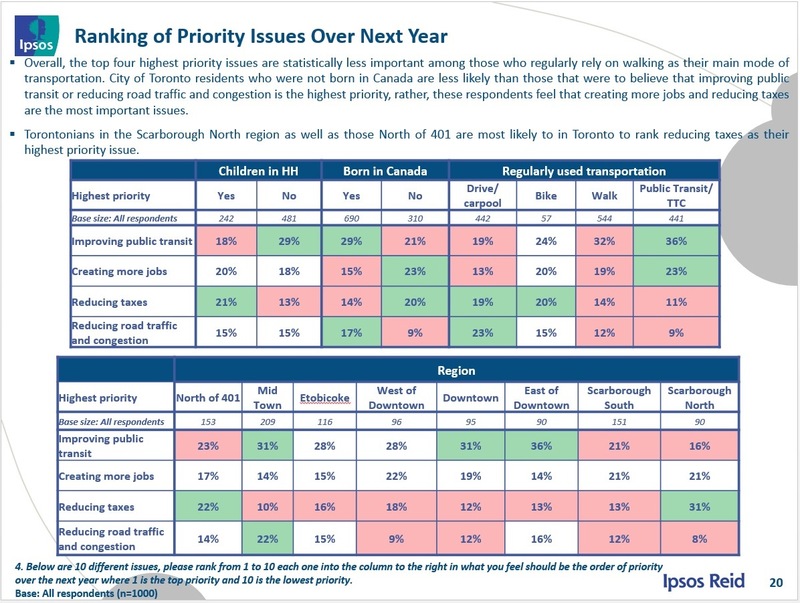 Promised funding for future projects such as the Scarborough Subway Extension (SSE) are not included in this list because they are not yet approved beyond preliminary planning and engineering. 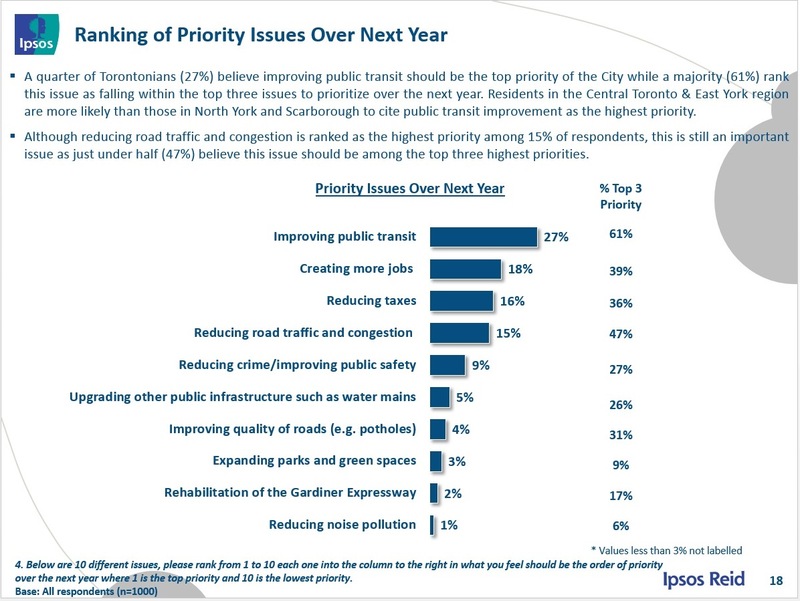 Metrolinx projects do not appear in this list because they are entirely handled at the provincial level and do not affect City capital requirements. 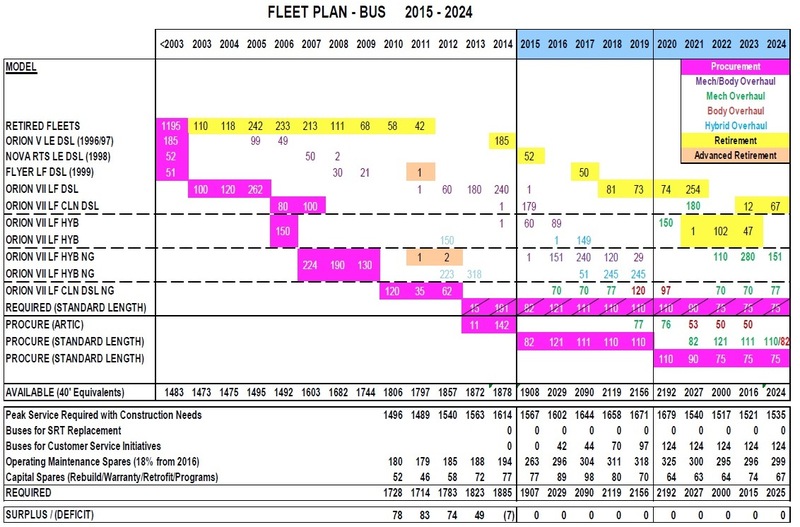 Recent presentations by TTC CEO Andy Byford both to his own Board and at a recent Metrolinx Board meeting included an undercurrent of references to charging fares based on distance travelled or some form of zone system. This shows up in the description of new fare gates for subway stations that would be provisioned at the TTC’s expense as part of the Presto farecard rollout. New fare gates can be designed with provision for future “tap out” capability that would be needed for a distance or zone based fare structure. The cost of this change is projected to be $38.1-million, and this is a net addition to the TTC’s already bulging 10-year capital project list. Oddly enough, the new fare equipment arises from a joint effort with Metrolinx/Presto and it would be no surprise if the same gates show up at stations on the Eglinton Crosstown line. Recently, the TTC Board, a largely dormant entity during the era of Rob Ford and Karen Stintz, decided to take a more active role in oversight of the organization by striking new subcommittees. In addition to the already existing Audit Committee, there is now a Budget Committee with members Rick Byers, Councillor Shelley Carroll, Councillor John Campbell, Councillor/Chair Josh Colle, and Councillor Joe Mihevc. These are intended as introductory overviews for Commissioners who are not steeped in the details of TTC planning or policy, and they give a general sense of management’s focus as the TTC enters the 2016 round of budgets. Note: The Service Standards document has most of its content in portrait format even though the pages are primarily in landscape. Save the document, open it with Adobe Reader, and then rotate the displayed images.